Los Angeles, CA – G-Eazy and Blueface are representing California to the fullest with the “West Coast (Remix)” featuring YG and ALLBlACK. The video captures G-Eazy, Blueface and their partners riding down Fairfax Ave in a Ferrari and lowriders while also documenting notable West Coast culture such Blood-walking, Crip-walking, hyphy-dancing, and plenty of palm trees. The visual was directed by Daniel CZ, a recurrent collaborator for G-Eazy visuals. E-40, Ty Dolla $ign, Richie Rich, along with others make cameo appearances in the video. JULiA LEWIS produced the hyphy-themed track. Back in 2014, he sat down with HipHopDX to detail how Mac Dre and the Bay area influenced him and his music substantially and it’s obvious that viewpoint still holds up in the present day. Watch G-Eazy’s “West Coast (Remix)” video above. Jussie Smollett may be trying to get his career back on track, according to reports, but it looks like the Osundairo brothers are capitalizing f the 15 minutes infamy. Now that the charges against Smollett have been dropped, the brothers, Abel and Ola, both have no legal consequence since the Chicago Police Department only investigated the attack on the actor as a staged event. The Osundairos are jumping headfirst back into their fitness business, and according to TMZ, things are looking up for the workout duo. The pair have returned to what they were doing before this scandal shook up their world, but now that there aren’t any charges on the horizon, people are still wondering whether or not they’ll speak out about their involvement. TMZ claims that Abel and Ola are open to doing an exclusive interview, but only if the pay is right. The two were mysteriously out sight when it was announced that Smollett was facing a case. It was later reported that the brothers were being held up in a hotel for a witness protection program sorts to keep them out the public eye. It’s also said that the Chicago Police Department footed the bill for their stay. You either need to really love weed or really hate it to take this position. As reported by Complex, the DEA in Houston is looking to hire a contractor who can burn 1,000 pounds weed on an hourly basis. If you accept the position, you will be asked to incinerate various items including paperwork, cassette tapes, and lots pot. Other confiscated materials will also need to be burnt but the weed-burning is highlighted in the job application, ensuring that people know what they’re getting themselves into. The contract will reportedly run from March until the end September. The DEA claims to have gotten many applications for the role, noting that proper background checks will be conducted to find the right person for the job. In addition to the thorough personal investigations, the DEA will also be ordering drug tests to ensure that nobody is using the product they’re supposed to burn. In conclusion, you either need to hate weed so much that you want to burn it all or you need to be a big fan the smell to take this position. Still sounds worth it, to be honest. If you’re interested in applying, you must meet the “very strict” requirements, according to KHOU. Do you fit the prile? Here’s a wrap-up of the latest music industry hirings, firings, and exits. Kobalt Music Publishing has promoted Jamie Kinelski to the role of Vice President of Creative. Based in the company’s Los Angeles office, she previously served as Senior Director of Creative. In a newly created position, Kate Shepherd will now serve as Managing Director of Entertainment Programming at Warner Music UK. She has over two decades of experience in developing, producing, and marketing short & long-form programming through roles with Ridley Scott Creative Group, Noah Media, and Sunshine Group in the UK, and Fullscreen, Shine America, XIX Entertainment, and BBC Worldwide in the U.S. At Warner Music UK, Shepherd will report to Peter Breeden, Chief Operating Officer, and Mel Fox, Chief Transformation Officer. Nina Bhagwat has also joined the company as Head of Inclusion & Diversity. She’ll report directly to Masha Osherova, Executive Vice President and Chief Human Resources Officer. Entertainment One has promoted George Cappellini Jr. to the role of Vice President of Radio Promotion & Artist Development. Currently based in New York, he’ll relocate to Nashville and will continue reporting to Scott Givens, Senior Vice President of Rock & Metal. The Librarian of Congress has appointed Karyn Temple as the Register of Copyrights. Anthony Gabriele, a former Apple Music executive, has joined SoundCloud as Senior Vice President of Subscriptions & Marketing. In the newly created role, Gabriele will lead the growth and expansion of the company’s Listener and Creator businesses in addition to overseeing its Growth Marketing and Brand Marketing, and Community Support teams. Based in New York, Gabriele will report to Michael Weissman, Chief Operating Officer. Carletta Blake will serve as Program Director for New Country radio station WGAR 99.5 effective April 8th. Jason Carr will serve as Program Director for Adult Hits radio station WHLK 106.5. ASCAP has unveiled 12 writer and 12 publisher members elected to serve on the board for a new two-year term effective April 1st. Elected writer members include ASCAP President and Board Chairman Paul Williams, composers Joel Beckerman, Richard Bellis, Bruce Broughton, Dan Foliart, and Doug Wood, composer/producer Marcus Miller, songwriter Jimmy Webb, songwriter/composer Michelle Lewis, and songwriter/producers Desmond Child and Rudy Perez. Composer Alex Shapiro was re-elected in the Symphonic and Concert field. Re-elected publisher directors include Caroline Bienstock (Bienstock Publishing Co.), Peter Brodsky (Sony/ATV Music Publishing), Barry Coburn (Ten Ten Music Group), Keith Hauprich (BMG US), Laurent Hubert (Kobalt), Dean Kay (Lichelle Music Company), Evan Lamberg (Universal Music Publishing Group), Leeds Levy (Leeds Music), Carianne Marshall (Warner/Chappell Music), Mary Megan Peer (peermusic), and Irwin Z. Robinson (Cromwell Music, Inc.). James M. Kendrick (Schott Music / European American Music Distributors Company) was re-elected in the Symphonic and Concert field. Alison Bonny, Communications Director for EMEA, has left Spotify after nearly eight years in the position. She had joined the company right before its US launch in 2011. Nikita Adams and William Rodriguez have joined Paradigm Talent Agency as agents. Adams will serve in the company’s unscripted department. Rodriguez will serve as a comedy touring agent. Based in Beverly Hills, his clients include Keenen Ivory Wayans, Piff The Magic Dragon, Tommy Davidson, Chad Prather, Aries Spears, and April Macie. Lauren Wirtzer Seawood, Head of Music Partnerships, has left Instagram. She had joined the Facebook-owned company in November 2015. Richard Park, Director of Broadcasting, has stepped down from his role at Global Radio following a period of bad health. He will continue serving on the company’s board and will now serve as Senior Programming Advisor. Tim Glover will now serve as Senior Vice President of A&R at Interscope. In addition to the promotion, he currently oversees A&R for LVRN, an Atlanta-based record label and creative agency. Tom Foster has been promoted to Head of Film & TV of Europe at Universal Music Publishing Group (UMPG). Based in London, he’ll continue reporting to Mike McCormack, Managing Director of UMPG UK. After nearly a year and a half in the role, Benny Pough has left Roc Nation Records. He previously served as President of the label since December 2017. The custom kicks sport a black leather upper equipped with an all-over “The Man” print in gunmetal and black patent leather detailing along the panels. 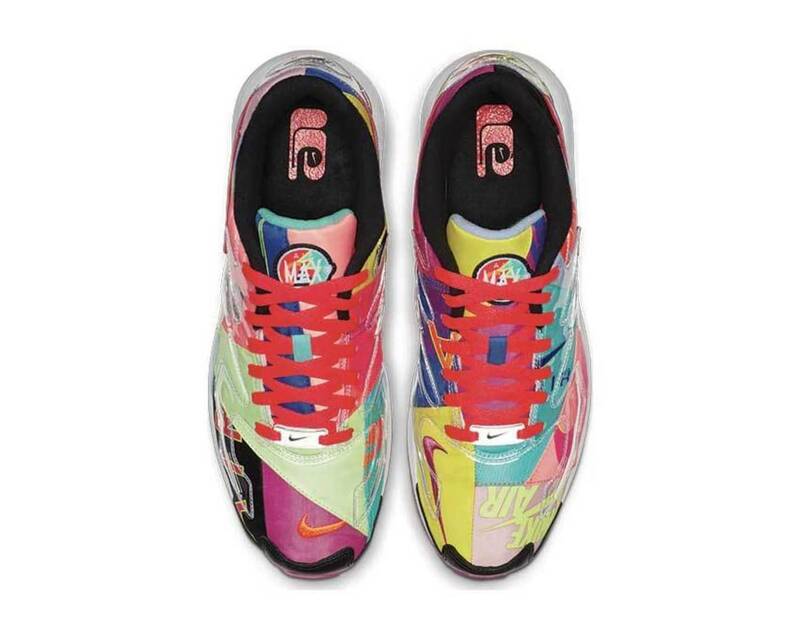 Additionally, Becky’s logo sits on the tongue and “The Man” is stamped on each heel tab in white. “The Man” is set to main event Wrestlemania 35 on April 7, along with Raw Women’s champion Ronda Rousey and SmackDown Live Women’s champion, Charlotte Flair. It will mark the first time ever that a women’s match has main-evented Wrestlemania, and Ronda Rousey is taking all the credit for making it happen. The build for their highly anticipated Triple Threat championship match has been in the works for months, and we look forward to “The Man” standing tall at MetLife Stadium next Sunday, regardless what type footwear she’s rocking in the ring. 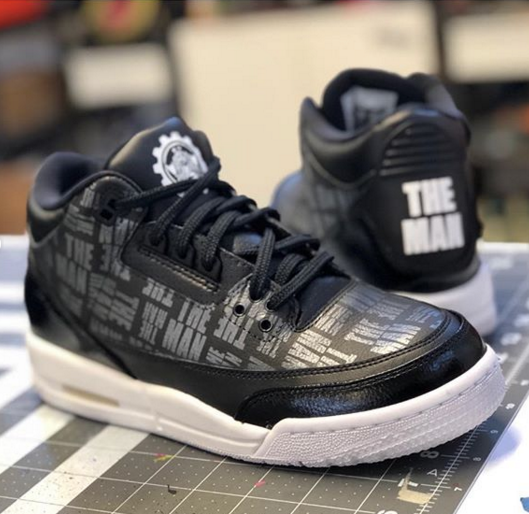 Take a closer look at Becky’s custom 3s in the IG post embedded below. Kendall Jenner has had to deal with some uncomfortable issues with a few stalkers in the past, but nothing compares the scary obsession John Ford who scaled a mountainside to get to Kendall’s home. John was previously given a restraining order to stay at least a 1,000 feet away from Kendall but that didn’t stop him from sneaking through the back entrance her property to hang by her pool and on her porch. By the time police arrived at Kendall’s home during the October 2018 event, John was gone. TMZ now reports that he has finally been arrested since ICE located him at a hotel in New Mexico. John is a Canadian citizen and was in America illegally after his six month B-2 visa expired. “This timely arrest could very well have prevented a violent crime. Our special agents acted quickly on this tip to ensure that this obsessive behavior didn’t escalate to become a tragedy,” an ICE spokesman told the publication. 6ix9ine’s former manager has pleaded guilty to two weapons charges. According to Page Six, Kifano “Shotti” Jordan, a high-ranking member of the Nine Trey Gangsta Bloods crew, was indicted in connection to an armed robbery in April 2018 in Manhattan and discharging a firearm during a shooting at Brooklyn’s Barclays Center. In February, Tekashi pleaded guilty to nine federal charges including hiring a hitman to kill Chief Keef and distributing drugs. The 22-year-old rapper struck a deal with the feds in an attempt to lighten his sentence. Tekashi, who remains behind bars, recently scored a legal victory. A judge has allowed his former attorney, Lance Lazarro, to once again represent him in his case. He is scheduled to be sentenced in January 2020. Despite a successful first week action, the Alliance American Football has seen a steady decline. Rumors have swirled that the league is struggling to pay its players and that they are at risk going bankrupt just weeks into its inaugural season. It’s a pretty damning development for a league that was hoping to provide fans a much-needed dose football in the absence the NFL. Earlier this week, we reported that majority owner and chairman Tom Dundon was complaining about the NFLPA’s reluctance to provide young players to the league for development opportunities. With this in mind, Dundon, who also owns the Carolina Hurricanes the NHL, threatened shutting down the league completely. The latest development in this story comes from ProFootballTalk which reported that it’s “entirely possible that the plug will be pulled” after this weekend’s games. While it was originally believed that the league would fold after the season, now it looks like it could happen before the end the regular season. If you’re a fan the brand new league, this is awful news to hear. It’s especially disappointing for all the player currently using the league as their meal ticket back into the NFL. When Beyonce accepted the Carter surname as her own, she was wise enough to broker a 50-50 stake in all things business-related, akin to a modern-day prenup. Apart from that, there’s a reason to believe Beyonce might have even forced the issue herself, as a way distancing herself from her father’s name. So, whenever she and Jay-Z step out in public, as they did last night, they introduce themselves as “The Carters,” for reasons too complicated to explain. Last night, the power couple stood together in accepting their Vanguard Award, at the 2019 GLAAD Media Awards ceremony in Beverly Hills, California. The ceremony marked the one-year anniversary a tribute bestowed upon Jay-Z for the song “Smile,” written in collaboration with another noted Carter, his mother Gloria. After thanking GLAAD’s governing body for the special commendation, Jay-Z and Beyonce both spoke out in support the LGBTQ community, by sharing a series personal anecdotes consequence. Beyonce went a step further than her husband by urging the crowd to protect all marginalized persons, including but not limited to the LGBTQ, a message backed by the numerous philanthropic endeavors she has spearheaded. 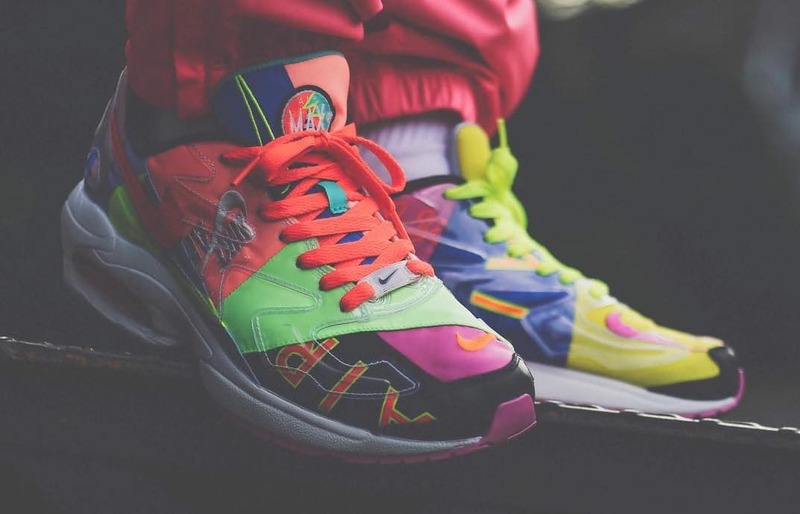 Nike has ficially introduced their latest collaboration with Japanese-based brand Atmos, which takes shape in the form a special edition Air Max2 Light. 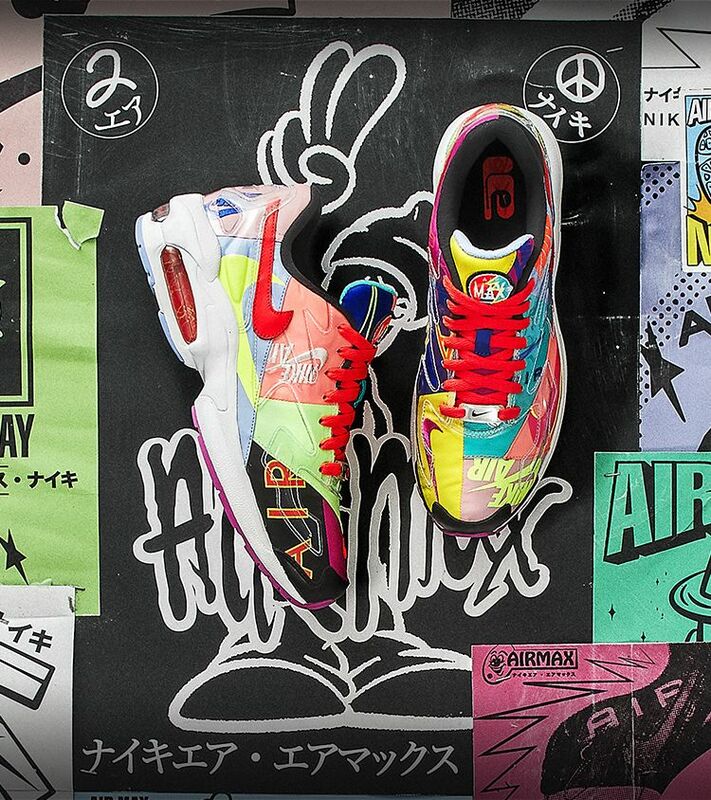 The exclusive Air Max2 Light collab, as well as a matching collection apparel, first released at Atmos locations in Japan on March 23, but they’ll be up for grabs in the U.S. next Friday. 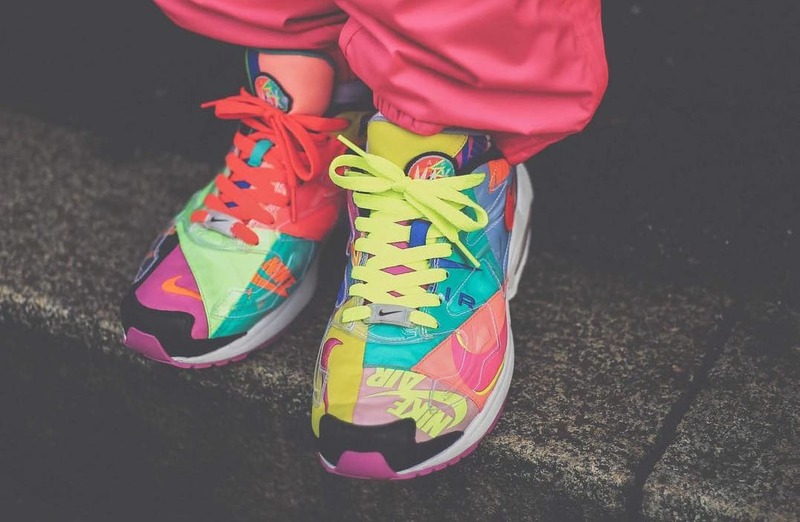 The colorful kicks take inspiration from Nike apparel in the ’90s and the vibrant upper is a twist on the bright, bold gear synonymous with that era. 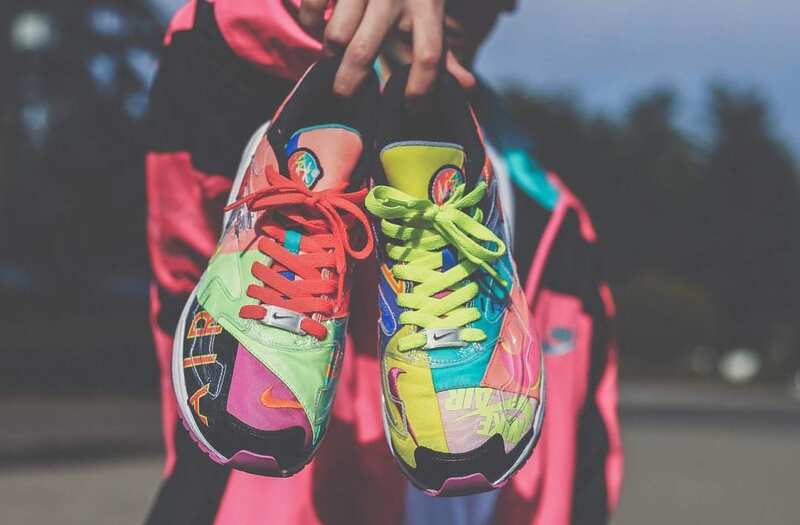 A swoosh or “NIKE AIR” branding is printed or embroidered on every piece patchwork, and each shoe features asymmetrical patterns. Nike and Paul George have another moon-landing inspired colorway the Nike PG3 in the works. Earlier this year, Nike launched an orange spacesuit themed PG3, complete with Apollo 16 detailing and NASA-branded insoles. In further celebration the 50th anniversary the moon landing, Nike reportedly has plans to release the “NASA Apollo Missions” PG3 that George recently laced up on the court. 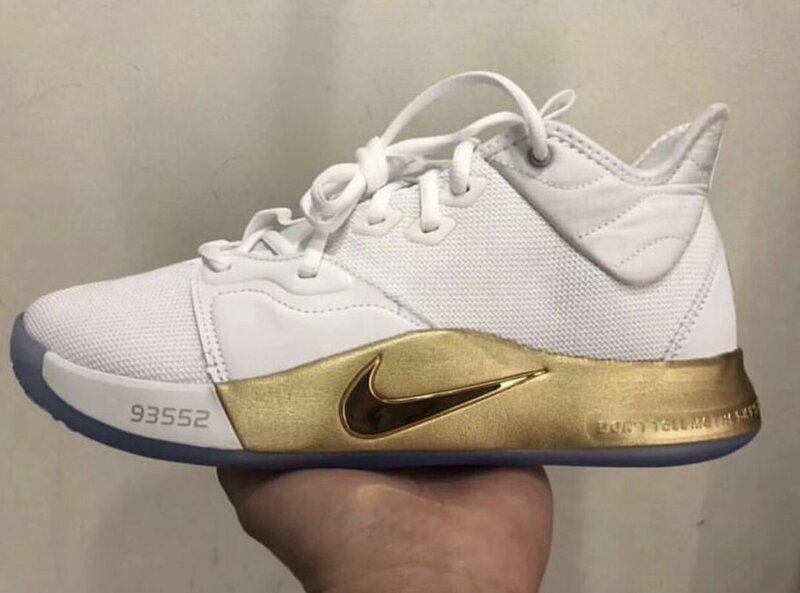 This time around, the NASA PG3 comes in a crisp, white colorway equipped with metallic gold detailing and the quote, “Don’t tell me the sky’s the limit when there are footprints on the moon,” displayed along the heel the midsole. 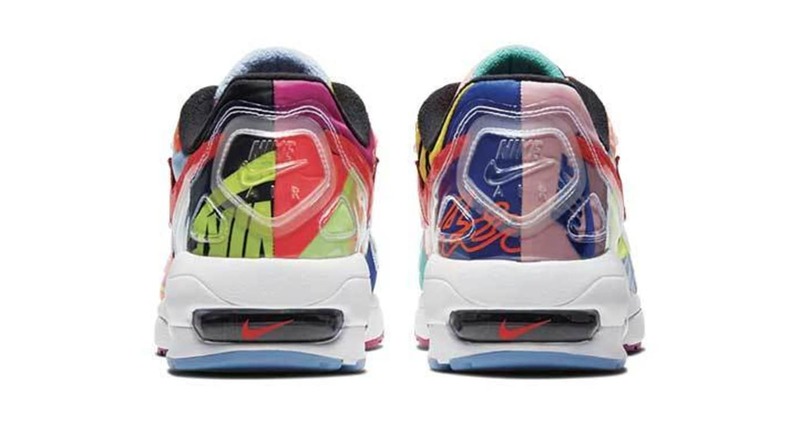 Additional details include a NASA logo on the heel and the ‘93552’ area code near the toe as a nod to PG’s hometown, Palmdale, California. 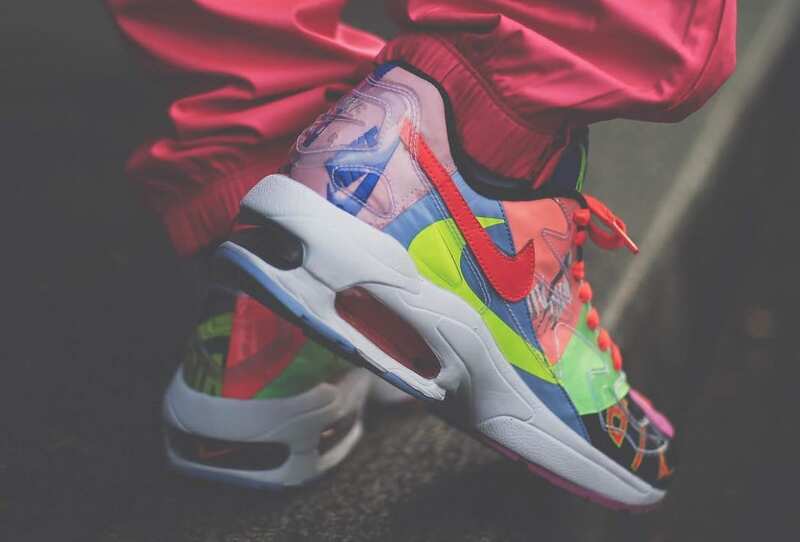 A specific release date for the Nike PG3 “NASA Apollo Missions” has not yet been announced, but it is believed the $120 kicks will arrive sometime in April. The bad blood between Young Thug and Sauce Walka has been boiling over, especially in recent weeks. Earlier this month, Sauce Walka set his sights on Thugger, with the heart his issue stemming from Thug’s uncredited use “Slime.” Stickler for authenticity that he is, Walka’s anti-Slime rant found Thug taking fense, prompting Walka to clap back with a resounding: “NO MAN IN A DRESS CAN FADE ME.” From that moment onward, the tension between both parties escalated. 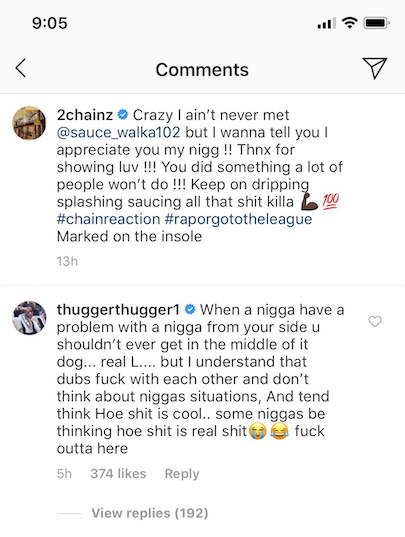 Not long ago, Thugger posted a video himself throwing hands, which prompted further ridicule from Walka. As it stands, Thugger appears deadset on burning bridges in the name his cause. 2 Chainz has yet to take notice Thugger’s scorn, though it’s likely that Tity Boi will remain neutral in this feud, given his wizened OG nature. 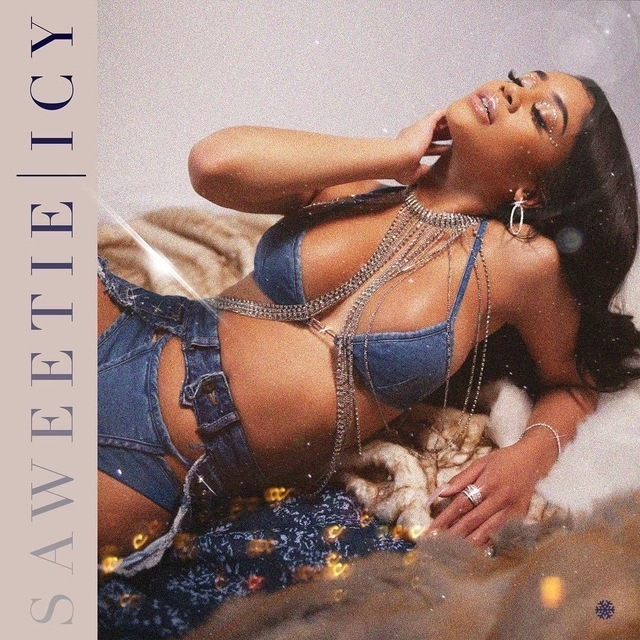 Sauce Walka, on the other hand, will likely use the opportunity to fire back at Thug, prompting yet another level to this already bubbling feud. Hopefully, this one can stay reserved to IG, or at the very most, the booth. Was 2 Chainz outta line for co-signing Sauce Walka in the midst his Young Thug beef? Perhaps all three parties can find common ground over their shared love Versace. Giannis Antetokounmpo and the Milwaukee Bucks have taken the NBA’s Eastern Conference by storm this year and have the best record in the NBA at 57-19. While the Greek Freak has been leading his team to victory night after night, the potential MVP candidate could be in trouble when it comes to his health. Last night, Antetokounmpo collided with Garrett Temple the Los Angeles Clippers and went down favoring his ankle. Giannis left the game and never came back. While the injury may have looked bad, fans can breathe a sigh relief as Giannis explained it wasn’t as bad as it looked. The team thought about putting him back in the game but after noticing his limp, they thought better it. Antetokounmpo was happy with the training staff’s response and credits them with his sustained health. The Bucks ended up winning the game by a score 128-118.